This book follows the story of the non-psychic Blue Sargent, a sixteen year old girl, and her four raven boys. Her raven boys, Gansey, Ronan, Adam, and Noah, all attend Algionby, a private boys boarding school. Together, they go on the search for Glendower, a long lost Welsh King, with the help of Blue’s psychic family. I had been meaning to read this book for a while now ever since I saw it on Goodreads. I have never seen a negative review of this series, so I just had to try it sooner rather than later. The Fountain Bookstore, located in Richmond, has signed copies of lots of Maggie’s books. I walked down there one day and picked up the first three books, which started my obsession over yet another series. This is one of those books where I find myself actually laughing and smiling while I’m reading it. I love all the characters and their relationships with each other. I also really enjoy Maggie’s writing style. It’s hard to describe, but she focuses more on the plot and the overall big picture than on the small little details. She doesn’t spend two paragraphs explaining what the main character is wearing that day, if you get my drift. The storyline is also pretty unique, I mean how many books have you read about Welsh kings before? I gave this book 5/5 stars, and currently I’m reading the second book in the series, The Dream Thieves. 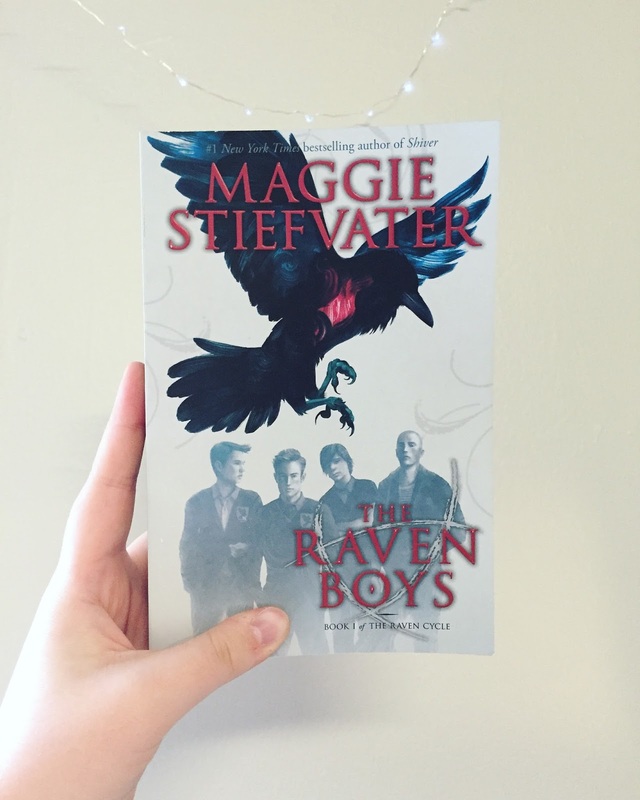 Buy The Raven Boys from Book Depository and get FREE worldwide shipping!